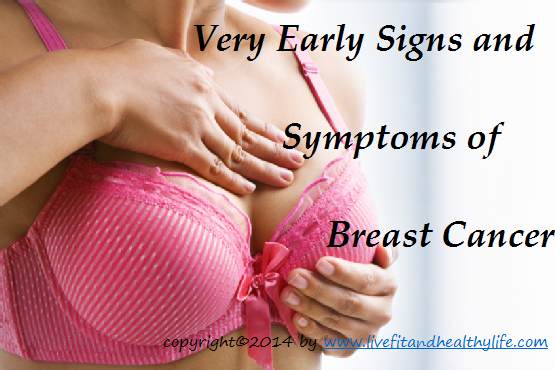 The most common symptom of breast cancer is a new lump or mass. A mass that is painless, hard, and has irregular edges is more likely to be cancerous, but breast cancers can be tender, soft, or rounded. They can even be painful. For this reason, it is important to have any new breast mass or lump, or breast change checked by a health care professional experienced in diagnosing breast diseases. Sometimes a breast cancer can spread to lymph nodes under the arm or around the collar bone and cause a lump or swelling there, even before the original tumor in the breast tissue is large enough to be felt. Although any of these symptoms can be caused by things other than breast cancer, if you have them, they should be reported to your doctor so that he or she can find the cause.